(ORLANDO, FL) Curious to learn more about Bitcoin? Need help making sure you’ve properly secured your Magic Internet Money? You are invited to participate in a fun, family friendly, hands-on workshop when the Coins in the Kingdom Conference descends on Orlando, October 4-5. The Bitcoin Beginners’ Workshop, hosted by Will Pangman (Tapeke), and Leigh Haynes (Basic Bitcoin), is open to all Coins in the Kingdom attendees and takes place on Saturday, October 4 at 9:30 a.m., in Orlando’s Wyndham Hotel. Participants will receive a paper wallet containing .01 BTC and learn how to import the BTC into their own wallets, for a truly hands-on cryptocurrency experience. Bitcoin is still in its infancy, but it’s never been easier to get started, and the Beginners’ Workshop is a great opportunity for folks who are curious but would like some in-person support. The goal for this event is to demonstrate that Bitcoin is ready for mainstream use, and to provide a friendly, risk-free setting in which Bitcoin newcomers can safely receive, send, and optionally purchase Bitcoin from a CoinOutlet ATM Kiosk. 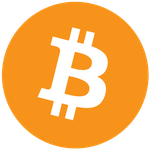 If you’d like to learn more about the Bitcoin Beginners’ Workshop, please contact Will Pangman at (913) 717-9455 ([email protected]) or Leigh Haynes at (415) 448-6115 ([email protected]).